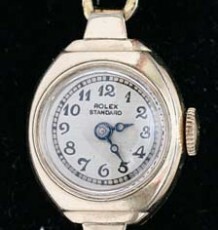 Used Rolex Oyster perpetual watch, with a wonderful steel milled bezel, in a steel Oyster case from 1959. 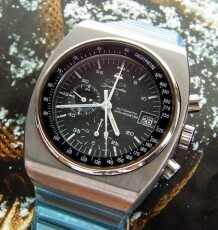 A classic vintage watch. A vintage Rolex Oyster Perpetual featuring a wonderful milled steel bezel that you don’t often see on Rolex watches. The style dates back to the 1940’s and provides an unusual visual detail to an otherwise striking watch.. 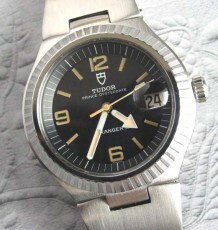 The serial number dates the watch to the late 1950’s, confirmed by the date, 1959 on the inside of the caseback of the watch. This model, reference 1007, features an all-original Oyster coloured dial with black text, which has taken on a slight honey coloured patina. The dial markers are the fancy arrowhead examples and combined with the original dauphine pointed hands, this is quite an attractive combination. 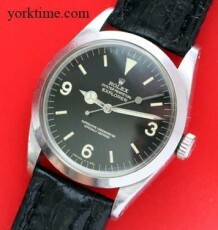 The Rolex perpetual automatic caliber 1530, has the early and rare butterfly style rotor. The movement was just serviced and is keeping excellent time. 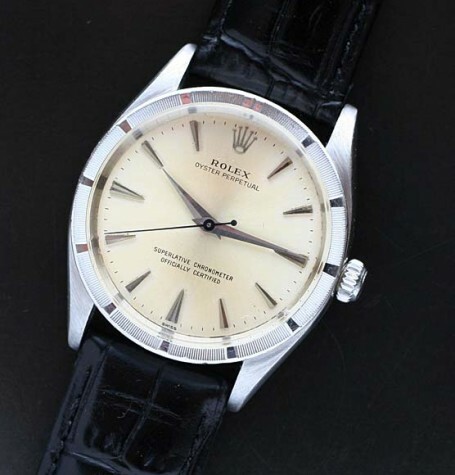 The watch measures 34 mm wide by 41 mm long and the watch is supplied on a leather strap, however a genuine Rolex Oyster bracelet is available for an additional cost..